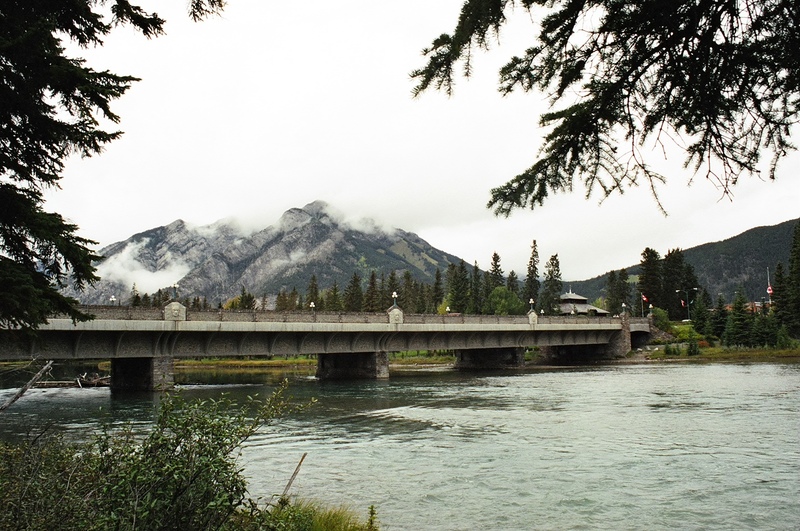 Banff has an instant appeal to it, in the same way that Queenstown and Wanaka do with their beautiful alpine surrounds. My base was a hostel about 20 minutes walk from town, a nice set up and by now I was getting used to (if not exactly loving) sharing a dorm. I went on sightseeing missions to the point where I started to get a bit blase about the natural splendor of the place. Much of this tripping around was on foot though I joined a bus tour or two as well. 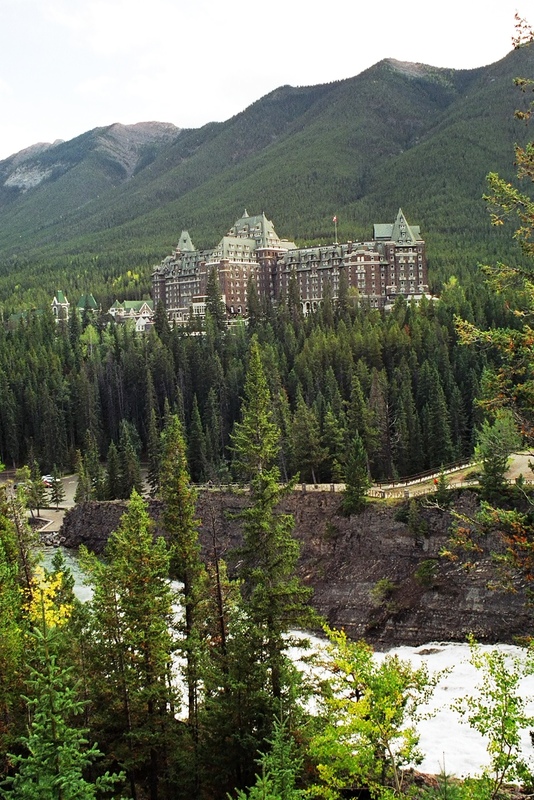 One of the grander establishments in the region is the Banff Springs Hotel, seen here over the Bow Falls. I called in for a hot chocolate. Maybe next time I’ll be able to graduate from hostels! 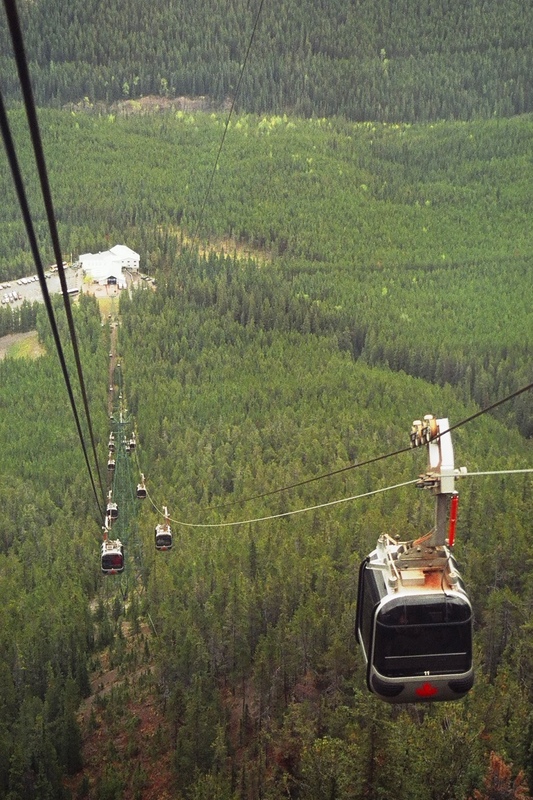 Also within walking distance from town is the Banff Gondola. 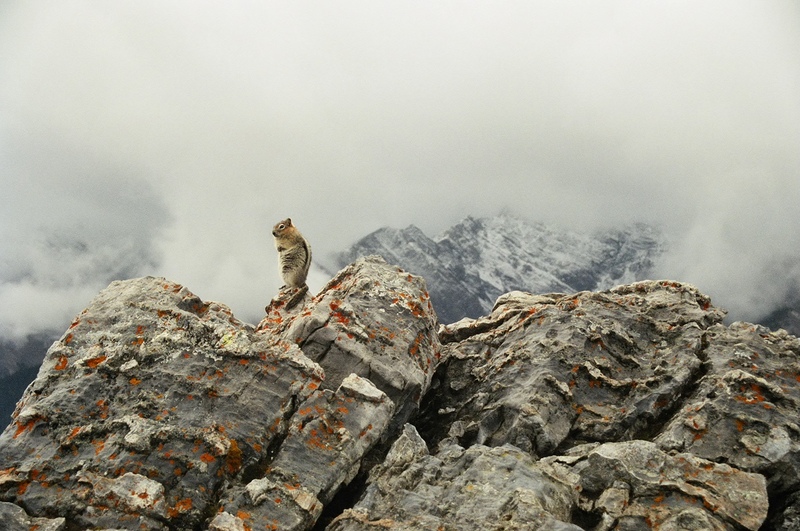 The weather was dubious with light snow falling at the top of Sulphur Mountain but I still had some fantastic views across Banff National Park. And of some local wildlife. And for my walking efforts I rewarded myself with a soak in the hot springs near the bottom of the gondola. 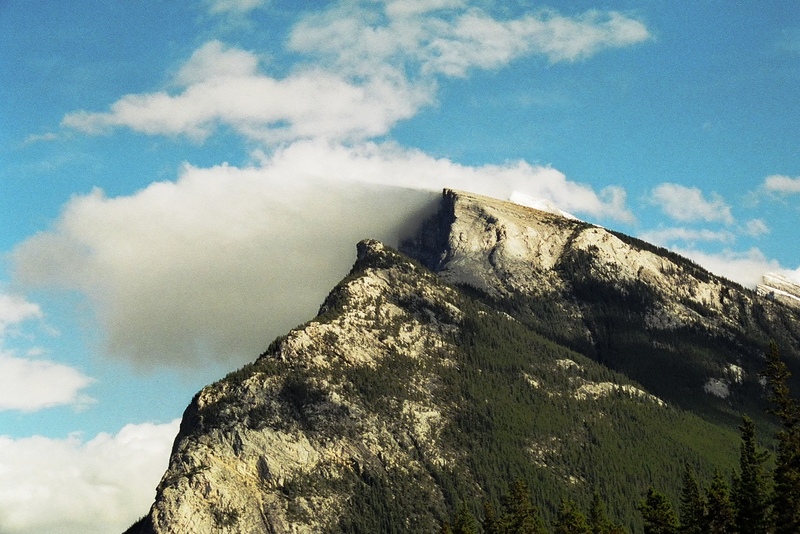 One of the bus day tours I went on was aptly named ‘mountains, lakes and waterfalls’. 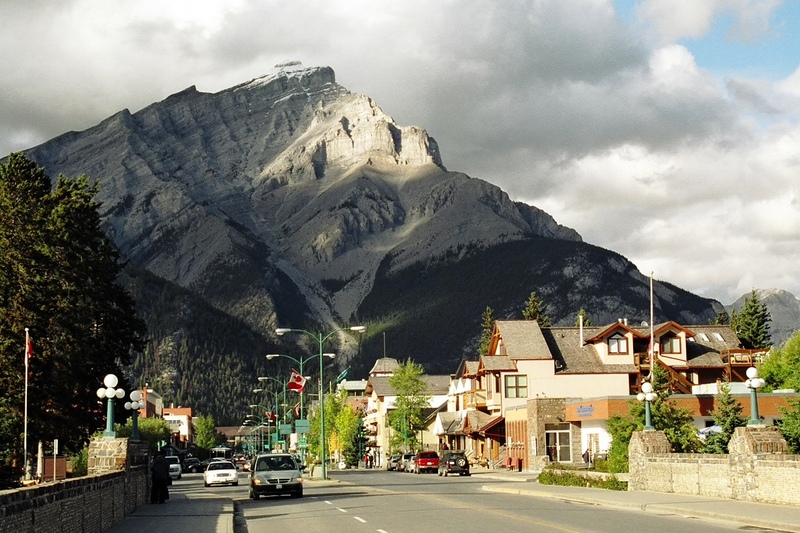 One such mountain…. 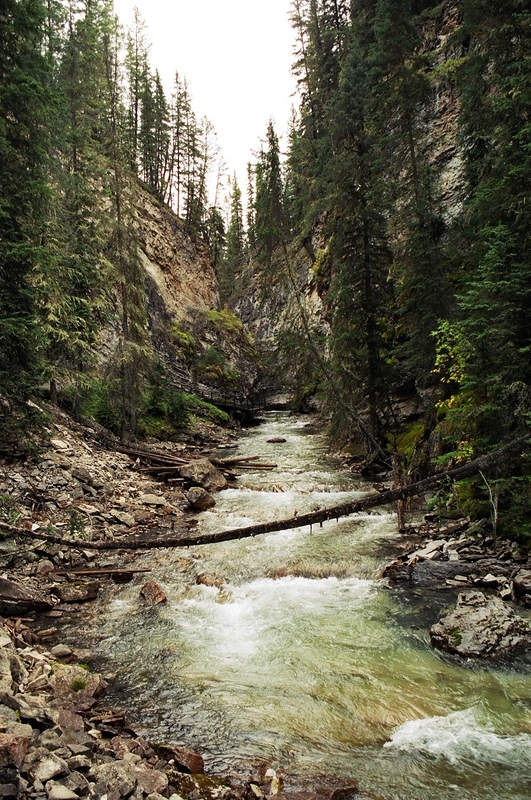 …and this was technically a canyon, but something to ooh and ah over nonetheless. 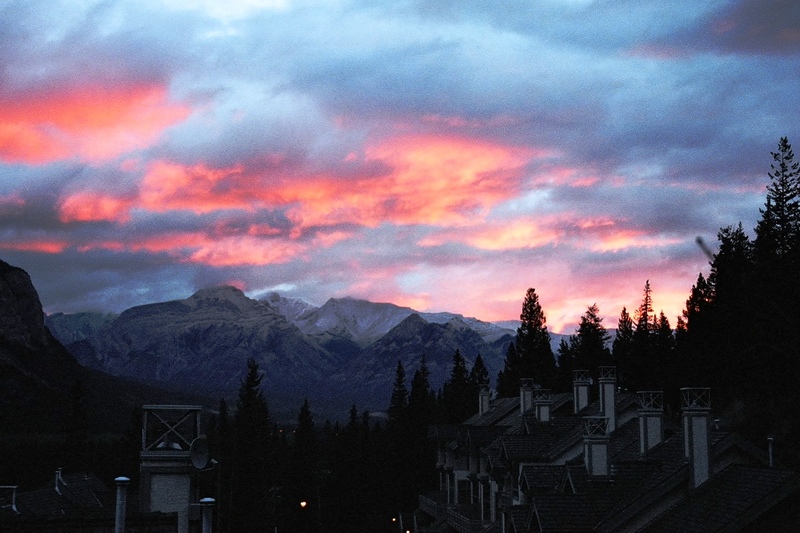 After leaving Banff I didn’t venture far as I still had a few more days to enjoy in the Rockies.